People, teams and organizations are looking for smarter ways to plan and track their work. Almost all are looking for software tools that seamlessly blend into their needs. This note is 101 (introductory) – it stays vendor agnostic – and highlights important considerations on the journey from individual task management to cross-organizational portfolio management. On personal level individuals maintain a set of “tasks”– usually in different forms (from pen and paper to software tools) to track and remind themselves what needs to be done. There is indeed plenty of different tools from cloud to mobile, it’s up to everyone’s taste. The most important is how to prioritize and tackle possibly ever-growing list of tasks so it does not become a graveyard of the past… It almost seems that many prefer to block their time on calendar, rather than capture a task that levitates above all the workload. As you see – just adding a task either on paper or in a tool – is not enough. There must be a will and desire of the individual to use the list effectively. Yes I agree it’s simple to do and everyone can figure out what works the best. The important takeaway is – as we move further in the complexity to work, project and portfolio management all individuals need to be enlightened, trained and motivated, because they work on a team effort. Work management is means of organizing and managing work in collaborative environment. The focus is on what and who. This is a natural evolution of task management, where individual “tasks” are no longer only yours – but you share them with your teammates to ask them to contribute to the end-result. Now clearly this could be challenging situation as different people have different priorities and participating in your work management effort could be additional agenda. There are lot of software tools that help in every step of this process – from easy to get started templates to intuitive and simple user interfaces. Some rich cloud solutions are even combining power of simple scheduler with numeric calculations and analytics – so there is no need to use more tools! These activities can become complex rather quickly, especially if you are interested in sequencing the work, involving more people across departments, creating dependencies and tracking what was done and when. This is where the more formalized and structured cousin – project management comes in. Projects typically are complex one-time activities lasting months. Project Manager is leader of the entire process and is responsible for its success. Projects typically have lifecycle starting with idea that needs to evolve into a business case – summary of key outcomes and key goals of the entire project. After approval – right resources are found and project execution starts. Project manager needs to balance project delivery – deliver project goals and keep eye on budget and resources. Once project is successfully completed evaluation is done. …and since projects can be very complex they often fail to deliver the intended results. Project Managers and organizations demand analytics and insights that would reveal and highlight problems to be addressed as soon as possible. Now it’s clear that there is a necessity of rigor, processes and habits that the organization has to establish for all this to work properly. You don’t want to become a fool with a tool! Are you thinking this is too much for you organization? Is it too big investment? Do a ROI analysis – and decide accordingly… In this cloud era – the tools are becoming simpler to implement – but the process is usually what takes the most and is the most important. Multi-project, cross-departmental environment – where tens of projects with different goals are running and competing for funding at the same time. This environment is usually controlled and aligned with organizational strategy that dictates priorities and funding. Many software solutions in the market today have flexible portfolio management capabilities and help you deliver the intended outcomes. What is the most important? The right balance between simplicity and flexibility. OK, so which one is right for us? The biggest challenge of task and work management is that they are not aligned with the organizational strategy, they are bottom-up driven and usually lack the big picture, especially in larger organizations. They are great to make things done, but not as good to make sure the right things are done. This may not be a concern for really small organizations, but for larger – this could be a huge deficiency. It’s not surprising however that all the above techniques and tools usually co-exit side-by-side. With co-existence it’s important to ask the right questions about integration and how all data captured in any system can flow upstream or downstream and seamlessly integrate in dashboards and provide the right level of visibility on all levels. There are more and more one-vendor tools with consistent user interface and seamless integration to make the “toolset” decision easier. Could the software tools for project management be used for work management? Well they can – but why would you use a giant crane, when the same job can be done way with bare hands? It’s usually wise to look at the right tools for the job – it’s usually better to have fewer tools than too many. Maturity, processes, training and tools. Here we are again. The lack of project and portfolio management (PPM) maturity or processes – caused by poor project management implementation is effectively “degrading” PPM to work management. 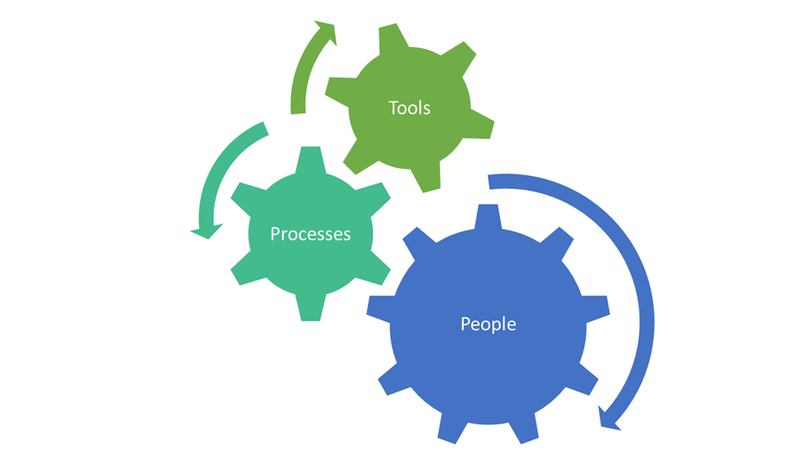 If your organization was to easily replace project management tools with work management – then CLEARLY you don’t have the right PPM processes and/or PPM was poorly implemented or you simply don’t need PPM. It’s very clear that as we move from task management to portfolio management – the right processes need to be in place BEFORE the tools can start delivering results. This does not mean that you should stay with work management forever – this means that since project and portfolio management is more complex due to scope, duration, cost and impact – it requires more thinking, more preparation and more attention during execution. This however also means that more people are involved and they need to understand why and how to do things right. Synergy among people, processes and tools is essential. It is like engine – if one wheel slows down it degrades the whole performance or if one wheel stops the entire engine stalls. Future of connected productivity – smart cloud and smart devices? Is the future of connected productivity spanning across smart cloud and smart devices? Can we expect deeper synergy between cloud and devices? Fast trends across industries force many organizations to quickly innovate. Organizations are looking at streamlining and adjusting processes, so it’s no surprise that many IT-related assets and services are under heavy scrutiny. This poses additional opportunities to think outside of IT and focus on what really matters for the business. But what is the role that cloud services and devices play? Organizations are rightfully looking to simplify the existing IT assets by adopting cloud services. Today – many cloud services need proper implementation, integration and configuration to precisely address the business needs of the organization and to maximize its value – more in this post. Many users bring their own devices (BYOD) and demand to use them for productivity, gradually increasing the amount of assets managed (or co-managed) by IT. The footprint of corporate confidential data and corporate boundaries are growing. This further increases the complexity and manageability for the entire IT. BYOD users yet rightfully expect to use same productivity habits and applications in the multi-dimensional world and don’t expect any compromises. Yet in reality for IT this would be the most difficult environment to set-up and maintain. So rules and standards are invented and implemented to protect the corporate data and it may seem that the user experience is left as last in this process. Devices we carry today are constantly more powerful and thus capable to deliver more. The way this personal computing power is translated into next generation interoperable and seamless user experience is yet to be seen. There are hundreds or thousands of apps and online services that perform related activities, but the integration story among them is weak – mostly none. This is very similar to early IT days where interoperability did not exist. As today on my phone one app does something and accesses a cloud service or two, the other one accesses another cloud service – oh and the third does corporate e-mail. Separate credentials, different user experiences and frustration with one single device… The more app the more frustration. Should not it be the other way around? Or even better just the right apps with great user experience? Future of connected productivity = Smart Devices * Smart Cloud Services? It is all about great and seamless user experiences. Devices in the future should work more like hubs, seamlessly bridging apps, cloud services and data, while protecting sensitive work and personal information. Cloud services and devices will start acting as multiplicators of overall value for users – both on business and consumer/personal level. Smart devices will become catalysts of cloud service adoption on many levels. It’s not just about the ability to access the cloud services – from anywhere and from any device – but about seamless and connected productivity. I’m very excited to experience the future – simple yet rich experiences that would transform the way people consume smart cloud services for any purpose, at any time and from anywhere – using their smart devices. Is cloud the ultimate answer? Many businesses outsource their IT infrastructure or parts to the cloud. They do it to reduce time to market and cost – both CAPEX related to ownership of hardware and software and OPEX typically related to operations, maintenance and labor. Time to market? As all IT processes (should) (directly) support the business – the sooner the process is up the better – the sooner the product can be delivered to the end customer the higher chance that the company makes more money. Do all IT departments see clearly the connection to core business? IMHO No. They interact with the business departments but often don’t see beyond that. It could be hard to overcome – but why would you care about a particular IT process if it does not INCREASE the company revenue? Well yes regulatory compliance could be one exception – but what else? Would you as CIO keep investing into an application or infrastructure only because it’s cool? I don’t think so. The business side sees IT as a hurdle to doing more business and being agile. Now that is interesting – the misalignment between business and IT is increasing and it has negative impact on the organization itself – on ability to innovate, get more happy customers and drive more revenue. Now how to get out of it? Should the business think about cloud to “by-pass” their very own IT? Should IT step back and rationalize their processes and infrastructure and align it with end business? Should the IT be totally outsourced? Should the exiting IT be looked at as a separate revenue generating business? It really depends, but the ultimate action should streamline and align the processes in IT with the end business to reach agility. The cloud is indeed a way to move some of the infrastructure out of the way in the restructuralization effort. The cloud is not answer to all questions however. Business solutions are initiated by business need that should be formulated by the business and include all the ROI math. The same math should be considered in the business solution itself. From the “IT” side the “Business Solution” EQUALS “IT Services” PLUS “Solution Implementation”. Looks like a simple equation for overall effort. Let’s analyze it a little. Moving IT Services to the cloud clearly decreases or *may* decrease the overall effort. Depending on type of business solution the implementation usually plays tremendously important role. Let’s say the business need is to implement e-mail system, the implementation itself could be more automated and simpler than answering complex multi-departmental portfolio need. But is the workload really the right way to look at things? Not really. The cloud can deliver what you need when you need it and it washes away the workload “problem” for “IT Services” today, but not for “Solutions Implementation”. – cloud can help with lowering the effort for “IT Services” today. I still think about “IT Services” as a tool – like a wrench that can be used to tighten a bolt. But we need to have just the right bolt and the bolt needs to be tighten with just the right torque and re-torqued as needed – and that is exactly what the “Solution implementation” should take care of. As no one wants to end up as a fool with a tool, implementation is the real important part that documents details, envisions, implements and trains; drives more adoption and continuously maximizes ROI of the entire solution. We clearly don’t want to under-spend in the solution implementation as it’s the vital part of every successful business solution. The cloud is the CATALYST of IT transformation that SPEEDS implementations of business solutions and REDUCES some cost aspects and complexity. But the cloud is not the ultimate answer to all the questions. Would there be one day a “smart cloud” that would deliver the entire business solution? I truly believe so! All the best in 2015! 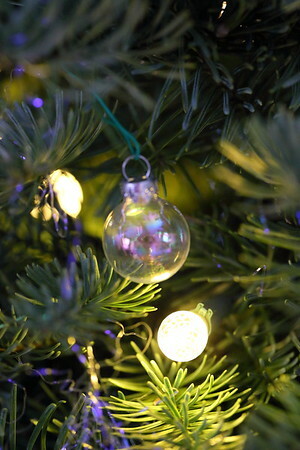 As the year goes to an end in the Gregorian calendar – I wish everybody all the best in the next year 2015! Hope your holidays were peaceful and you had the chance to enjoy your traditions and passed them on to your children, enjoyed good food and your family and closest friends. 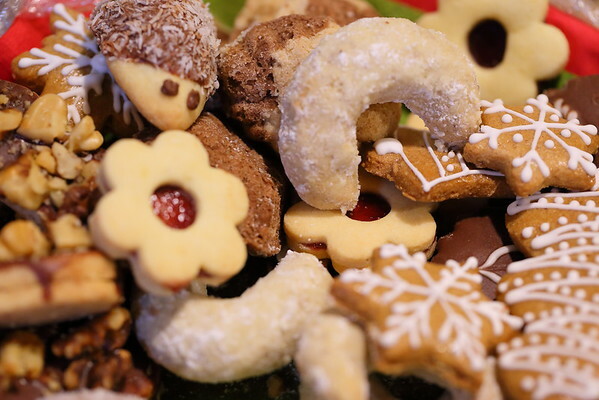 Here is a small photo sneak peak into specialty cookies and braided bread called Vanocka (from word “Vanoce” = Christmas) that my mom and friends did – those are so typical for Central Europe. Let’s see what 2015 will bring in the top technology trends – personal wearables? new generation of cloud services? or “full services” in the cloud? I think the trends are clear – mobile and cloud, so eager to see what will shine the most and how the two will get together and empower us as business users and consumers with yet another advanced innovation. I’m very thrilled I can be part of that! With the best wishes to all of you! 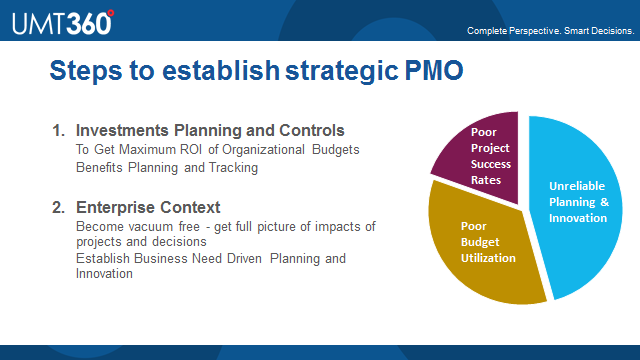 Join this live webinar to understand the core concepts of strategic Project Management Office (PMO). PMOs are being asked to master the important, yet tactical aspects of project management as well as take strategic responsibility for managing investment decisions to optimize spend and maximize return across the portfolio. Now is the time to embrace the full spectrum of responsibility to ultimately maximize ROI. Understand how integrating UMT360 investment planning and controls across the PPM lifecycle in Project Online gives you and the business, the financial and strategic insights needed to optimize spend and maximize from your project portfolios. Chris and Krishna from Microsoft announced performance and scale improvements in Project Online – http://blogs.office.com/2014/10/21/performance-scale-improvements-project-online/. Worth reading! @Microsoft #msPartner? Selling on C-level? Know #SharePoint #msProject? UMT360 as the leading provider of Enterprise Portfolio Management solutions is helping organizations to rationalize and on ongoing basis optimize investments across siloed and diverse enterprise portfolios and align them with business strategy. UMT360 digitalizes investment planning and controls across business and IT portfolios – like Applications, IT Services, Programs, Projects and Products and delivers the transparency needed to make smarter decisions and drive performance. More here. UMT360 is recognized by Gartner in four areas: IIPA (Integrated IT Portfolio Analysis), EPPM (Enterprise Program and Portfolio Management), ITFM and ITPPM, and lastly in NPD (New Product Development). @Microsoft #msPartner? Selling on C-level? In case you answered yes to all questions above and you are services organization and looking for strategic opportunities – please let us know, we will be happy to talk to you – partners@umt360.com! We build our product on #SharePoint and #msProject platform. @Microsoft #PPM #msPartner? #msProject Online IUR now available! Exciting times – Microsoft Project Group announced the availability of Microsoft Project Online and Project Lite as Internal Use Rights (UIR) benefit to Microsoft PPM partners! As Silver or Gold PPM partner – go to https://www.microsoft.com/msppdd and activate your benefit! Notice that the licenses need to be redeemed only in one online tenant, they can’t be spit among your demo, production and development online environments as Office 365 or CRM. P.S. Congrats Yuval and Kevin ! I have been thinking over many moths about writing series about photography. There is always scarcity of time – but hopefully the extent of this information would be helpful to all photographers who want to get better in what they do and for others to just enjoy nice photos! It always starts with a challenge. At least in my case. We challenged each other with my friend Moritz to go early morning downtown to make few photos and scout for the real photography trip. Scouting? Yes super important and vital for great shots. The probability of just going out and shooting and getting GREAT photos is quite low IMHO. I’ll talk more about scouting during the Sydney photo shoot adventure. 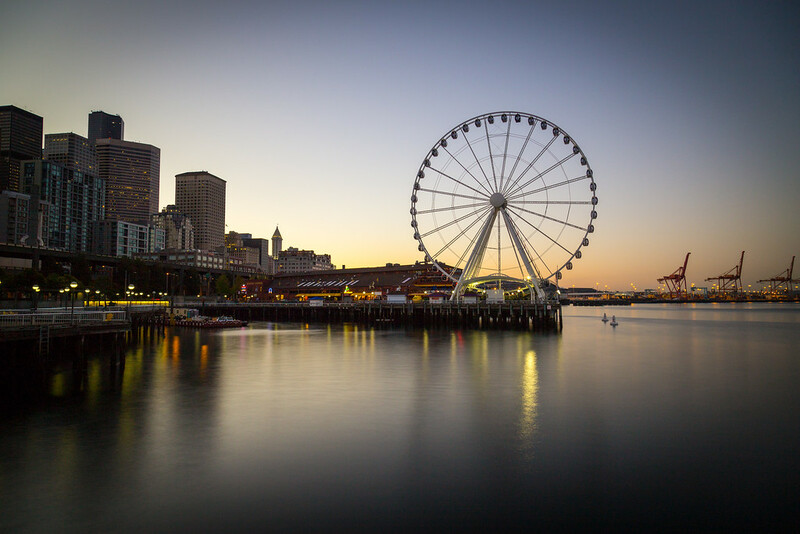 Seattle Ferris wheel – a “warm-up” photo of our shooting session. 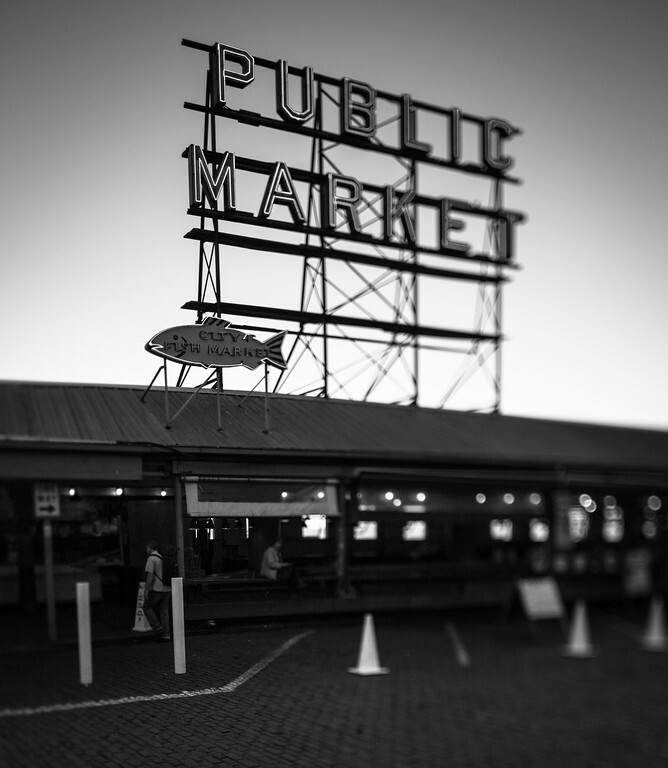 We knew we want to go to waterfront, and then explore Pike Place Market. 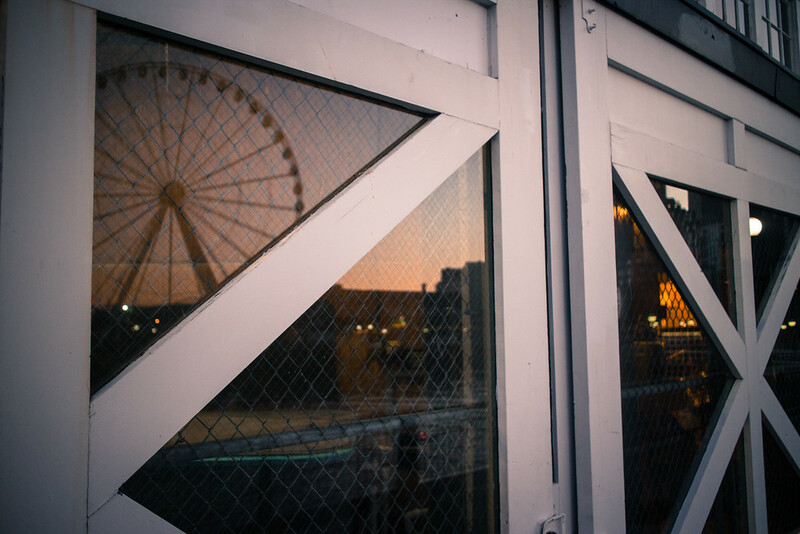 So we parked at the aquarium at 5:30am and started wondering around the Ferris wheel – and here is the first shot. Tripod is a key! (BTW recently discovered a fabulous tripod for a reasonable price). This photo can be shot with almost any camera but keep in mind – set the ISO as low as possible to get the least noise possible. Should you wish to get a noisy photo – it’s easier to add the noise later in post than remove it without loosing detail. While my long exposure was underway – I have “snapped” a reflection on the door right behind me. This is one reason I carry at least two cameras, in this case EOS M, with EF-M 22mm (relatively affordable camera). Yes this could be easily taken with an iPhone (if I had one ). Actually I did not snap it – I have carefully composed two photos and chosen this one. 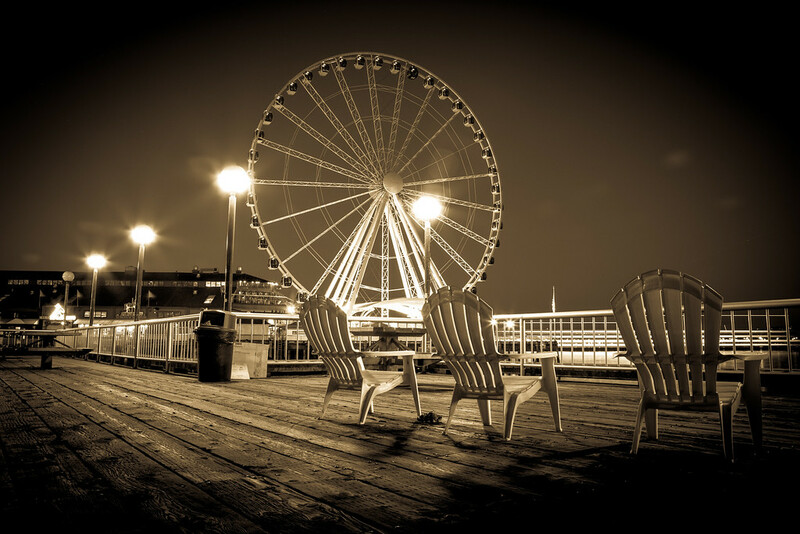 Two challenges – 1) how to compose – I have aligned the door frame with the picture frame on the left, the other was aligned to the right, that also moved the Ferris wheel to the right – which by the books should be better, but the left of the frame was boringly dark and empty – so this one felt better. 2) White Balance. Since I shoot always in RAW I adjust the WB in post, especially for challenging light conditions like this. I have used a grey area in the glass to set the WB, not the door frame. And as such the door frame got little reddish tint, that I actually like. 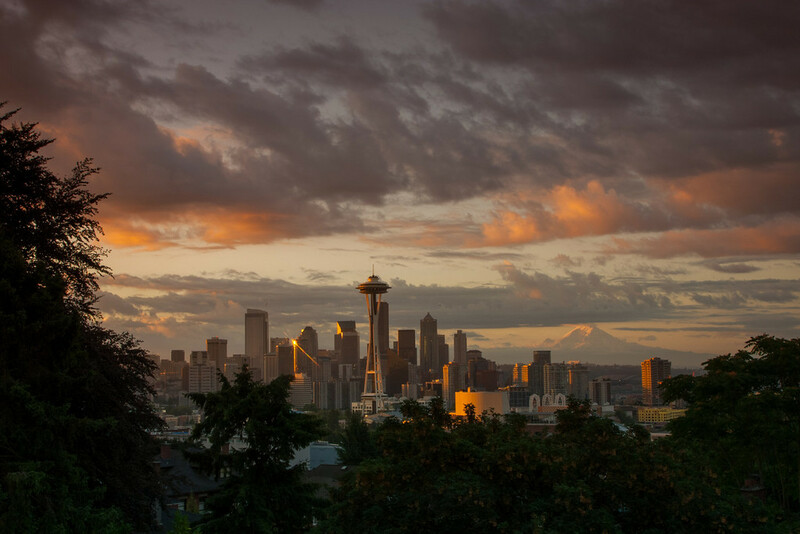 The next photo was taken from an overlook behind Pike Place Market. This would need rather long lens to get rid of the industrial foreground. I thought let’s try something different. 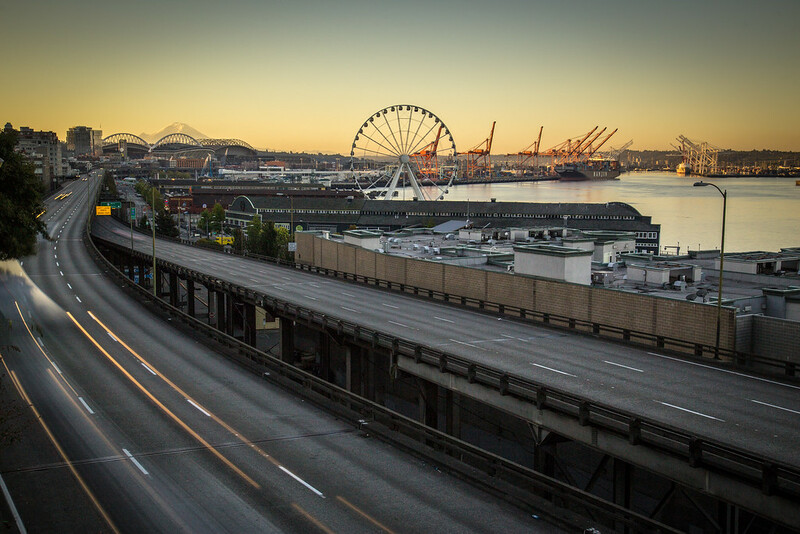 The ND filter went back on and did few second exposure that blurred the headlights of cars on Alaskan viaduct. The trouble was it was Saturday and not too many cars were coming, so I had to be a little patient. Work days could be better. Next we tried to get a subject that everybody has in a slightly different way. 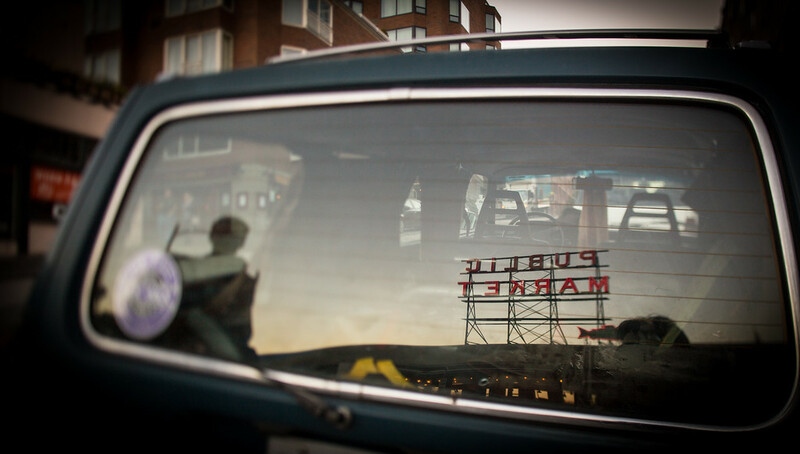 When we drove through, I actually spotted this reflection and went back to get it. I used tilt and shift lens to blur the rest of the rest of the frame, but similar effect could be done in post. The person on the left is my friend Moritz. I took a sequence with him and without, I liked this one, as the other was too empty. Don’t shy to try to experiment in post. I took the following one thinking it will be deleted. Converted to B&W and cropped. I did not try to change any parts, just few clicks – B&W, Crop, Done. 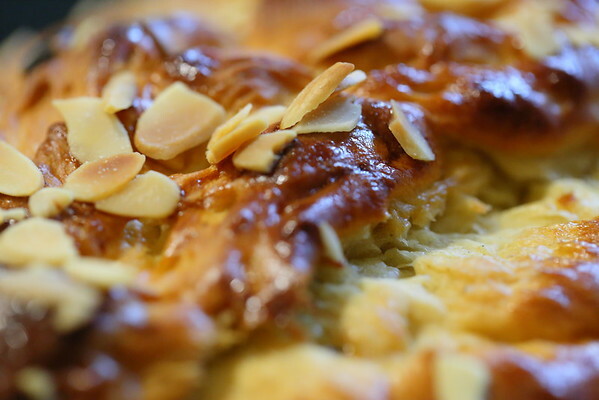 The photo was taken with tilt and shift lens, so the selective focus was done in camera (lens). Considered two crops – one square and this one. I like this one more as you can feel the cube pavement. Finally after consuming super sweet croissant and waiting 20 minutes for the espresso in La Panier, we went to where every photographer goes to. 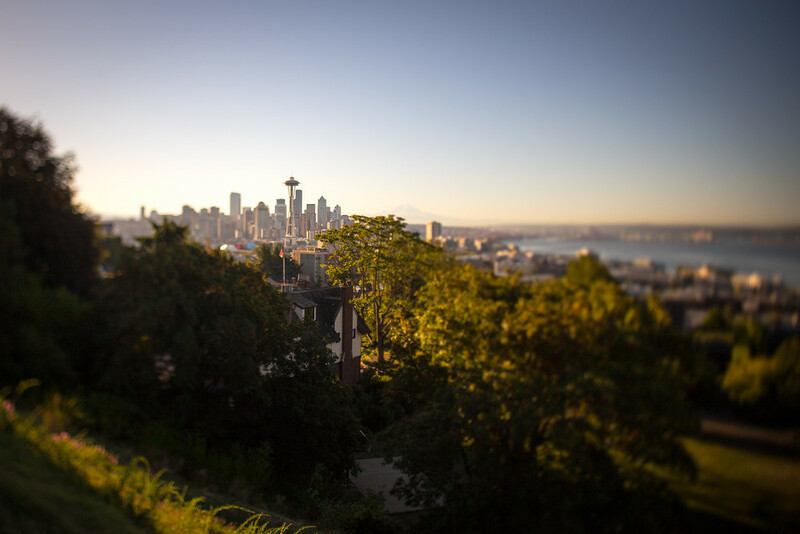 Kerry Park. Used tilt and shift lens and snapped the following photo. I liked the morning sun and the slight appearance of Mt. Rainier. Sports. Immersive photos and videos. Feel free to leave a comment with a priority preference!